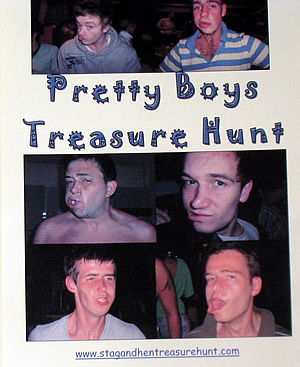 Our Stag and Hen Treasure and Scavenger Hunts are available for you in any UK location. We also offer a range of European Cities, how do Paris or Barcelona grab you? Or perhaps you fancy Rome, Lisbon or Berlin … it's entirely up to you, you choose the location and we will write a Treasure Hunt especially for you. 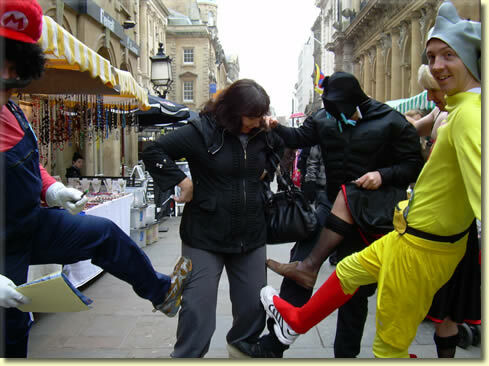 Our most popular stag and hen treasure hunts are, Bristol, Bath, Brighton, Cambridge, Derby, Edinburgh, London, Nottingham, and Oxford ... with Lisbon and London not too far behind. In the unlikely event that we do not have a prepared hunt in the location of your choice, please contact us to discuss the cost. How is our service unique? 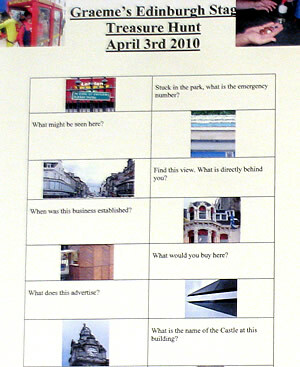 Our Treasure Hunts have no set route, so you can choose to start and finish anywhere within your chosen town or city. Provide us with a Photo and the Name of the Stag or Hen and we will personalise the Packs for you, we will also add challenges or tasks at your request provided they are legal. Our Popular DIY version is available for just £150 and includes four sets of Treasure Hunt clues, one set of answers in a sealed envelope and a set of instructions on how to run the event. … or 3D, colourful and fun? Treasure Hunts are a great social event, challenging, engaging and competitive, but most of all they are fun! How do they work? � At your chosen start location your party will split into their teams and be given their Treasure Hunt packs. There is no set route and there are always more clues than time available, so a little time spent planning (over a drink maybe) will almost certainly pay off. Our Treasure Hunts are written specifically for your chosen Town or City and take you round all the major attractions/landmarks and places of interest. There are questions to answer, tasks to perform and photo assignments to complete, we also include a word quiz so there is definitely something for everyone. You will need to blag your way into establishments and coerce members of the public in order to get your photos and collect the shopping list items for those all important points. And don�t be late back or you will lose masses of your hard earned points! We have many established start and finish points in the heart of London. We deliver our Treasure Hunts to a variety of different companies who are established providers of stag and hen events, if ours were no good, they would not use us. It’s as simple as that. Singles in your party? Then why not take a look at our fitness singles dating site, www.dateactive.co.uk which, is run by outdoor people for outdoor people. One of the great venues we use for London Stag and Hen start/finish points is Upstairs at the Queens Head, Soho.